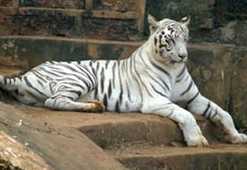 Similipal is famous for its splendid Tiger reserve. Similipal is land with thick and green forests, extensive grassy lands and meadows, with many rivulets flowing across and sparkling waterfalls gushing down. It is the place of chirping birds, roaring tigers, trumpeting elephants and hissing reptiles; a place of dancing peacocks and talking parakeets, a place where flocks of deer are seen jumping around and small little animals moving all around. Similipal indeed is a dream in the wilderness which makes it an irresistible destination.<br />It covers a vast area of 2750 sq km and most of this is full of deciduous forests and also dry and wet lands. The dense vegetation and the and the web of Rivers flowing across the area makes this region a perfect habitat for some of the world&apos;s best creatures. <br />Tigers and leopards are easily spotted here and if not one can see them around the saltlicks like Chahala. About 1076 species of mammals, 29 types of reptiles and 231 species of birds have been identified in this area. The Crocodile management centre is another major attraction of this Wildlife Sanctuary. The reptile which was on the verge of extinction has revived back. Similipal is open for visitors only during the months of November 1st to June 15th only. <br />Another important thing about the Similipal forests is that it has been a natural habitat for many tribes of Orissa and still is. The Tribes of Orissa prefer to stay in these thick forests and follow their traditional customs and rituals religiously. 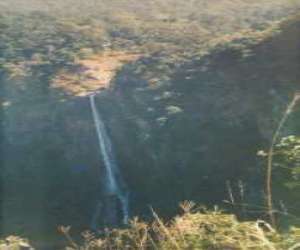 Located in the northern parts of Orissa, Similipal area falls in the Mayurbhanj district and is closer to Jamshedpur and Kolkata than to the capital of Orissa, Bhubaneshwar. It falls around 370 kms away from Bhubaneshwar.